We’ll be singing Japan’s most-loved songs! Timeless Japanese hits and J-POP are capturing the hearts of people throughout the world. They’re posting their renditions on the internet and sharing the bond and love they feel for Japan. 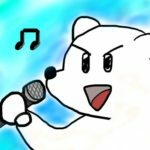 “Song for Japan Nodojiman the World!”（I Can Sing in Japanese!）invites singers from all over the world to express their fondness for Japan through songs. We’ll find out who in the planet can sing Japanese songs better than anyone else.